Gaza – Every night I seem to think it’s the worst night, until I go through the next one. I got so used to the house shaking and moving from the consecutive blasts that it now feels weird when everything is still. Flashing lights, the ground shaking all around, that’s my house during the current Israeli war on Gaza. Every day, Israeli warplanes bomb a new house; a mosque is hit; a car is blasted; a hospital is attacked. Even cemeteries and handicap associations are no longer safe. Every day, new people die, people who were once alive with hopes and dreams, are now nothing but a number in a news report. Life is so vulnerable in Gaza right now that your life can suddenly become a statistic. No one knows who will become a number, or when. Anticipate and don’t hesitate. Don’t wait for it to happen, and head out of your house in the daylight to stock the basics. Make a plan and a list of everything you need and make sure to calculate the distance between the places and the time you will need. You are not going on a fun ride. Make sure all the places are nearby and easy to reach without wasting too much time. You will need a good amount of clean water because no one knows how long it will last. Life is so vulnerable in Gaza right now that your life can suddenly become a statistic. No one knows who will become a number, or when. Stock up on bread and canned food, they last longer than fresh food. Do not go out at night, unless it’s an emergency. Make a list of all numbers you will need in urgent times like numbers of hospitals, doctors, family members, friends, pharmacies and such. Stocking up on medicine is more crucial than stocking up on food. Don’t only get medicine that you take or your family takes, make sure you stock up on emergency medicine, such as a first aid kit, bandages, plasters, medical cleansing alcohol, burn soothing creams, anesthetics, dehydration solutions, painkillers and anything else you might think you will need during days of war. Remember, during war, anything can happen, so it’s important to be vigilant. Earplugs, earplugs, earplugs. Especially for those who have issues because the sound of the blasts might cause infection, pain and/or damage to the ears. Use water and electricity wisely, moderately and efficiently. Make sure everything is recharged whenever possible. Stock up on candles or emergency flashlights, and make sure you always have enough batteries. Also, be careful when using candles, be always alert and never sleep while a candle is still lit. Stay away from windows, unless you want to risk being on the receiving end of flying glass, or have your face cut to shreds. Stay away from doors. People say that corners are always the safest place in every house, so make sure you stay near one. Crack the windows open, because they have a larger chance of exploding if they are closed, especially when an attack happens close by and the pressure of the blast causes the window to explode. However, always keep the doors closed. Do not rush to look out the window if you hear anything, and avoiding running to a nearby site that got burned or hit or bombed. Never speak about locations or give too much information on landlines, mobile phones, or online. You are putting your life in danger and the life of other people who never gave you permission to endanger them. Make sure you sleep at least three to five hours a day. There might be nights where you won’t be able to sleep at all, so sleep whenever you can. It is true that adrenaline keeps you awake and running for days, but when the rush dwindles, you will need days to recover, so be cautious. Have a fire extinguisher in your house or building and make sure to be ready in case a blaze sparks anywhere near you. Getting burned isn’t fun. And stay hydrated. Stay alert. This might save your life 90 percent of the time, unless you are destined to die. When you are alert you can anticipate danger and stay away from it or get out of it fast. Listen to your gut and have your instincts always on full-drive mode. I’ve found that in some ways it is actually more beneficial to stay alert than being safe because safety isn’t ensured unless you are well aware. Ultimately, safety is nowhere to be found in Gaza, but you use whatever means you have. The question of a ground invasion is one many Gazans were asking whenever we heard something on the news. 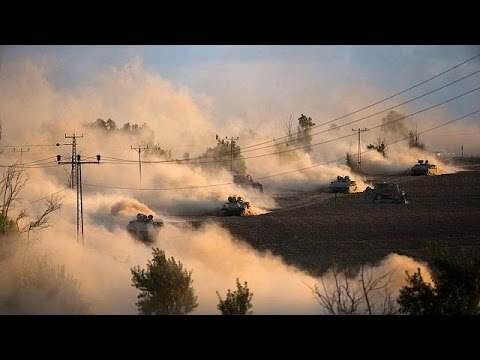 The monster that is the ground invasion has been used as a fear tactic for days, Israel threatening Gaza with it every day, until one night: the night it happened. And I certainly felt it and heard it before it was even reported. Israeli tanks, already beefed up on the border line, started advancing into southern and northern Gaza. Smoke bombs and tank shells were raining on Gaza, especially in the previously mentioned areas. We were attacked by land, air, and sea. And boy could we hear it and feel it. There were sounds of consecutive and rocking explosions, then it started getting harder to guess from where they were originating and where they will fall. Since the ground invasion, the number of fatalities and casualties has been increasing dramatically by the minute, which only indicates how vicious it is. Another issue we’ve been pondering revolves around the question of a ceasefire. My neighbors from one side are with it; they are tired and can’t handle any more madness. My neighbors from the other side are against it; singing melodies of how strong Gaza is. I, on the other hand, am sitting in the middle wondering when I will see the beach here again, or if I ever will. Gaza is like one small village where everyone knows everyone. Everybody is related in one way or another. And those who you don’t know in real life, you befriend through social media, essentially turning Gaza into more than just a village, but a home which significantly helps when it comes to finding out what’s happening, and trying to figure out what to do. But even these connections don’t change the fact that we still face limited options. Two nights ago, for example, many of my friends received Israeli recorded evacuation calls, all of whom live in the same area I live in. We quickly realized that we needed to formulate a “safety” plan, but in order to establish a plan, you need to understand the very real but almost comical situation on the ground. Imagine this scenario: Nalan al-Sarraj, who lives in Tal al-Hawa, tweeted that she got an evacuation call and was heading to her friend’s house which isn’t far from her’s. While I didn’t get a call myself, we still worked on scenarios of what we should do. Say I got an evacuation call and went to seek refuge with a friend, they might have already left their house because they too got a call. We both, then, would seek refuge with a third friend, and while we are there, he gets an evacuation call. “Where should we all go?” a question myself, Nalan and many others keep asking. There is also the sound of actually hearing the missile falling and then a blast. That’s the best and our favorite kind here. Hearing the missile fall means it probably won’t be targeting you. Having lived here long enough, sometimes trapped for days because of wars or attacks, I’ve realized I’ve become a sound expert. Now, instead of getting bored of seeing my family and neighbors all day every day for days, I decided to develop this skill, and I can now differentiate between rockets and their sounds’ impact. Say an Apache [helicopter] is nearby, very loudly roaring above the house; that’s bad, right? The answer is yes and no. On one hand it’s a good thing because it means your house won’t be targeted. 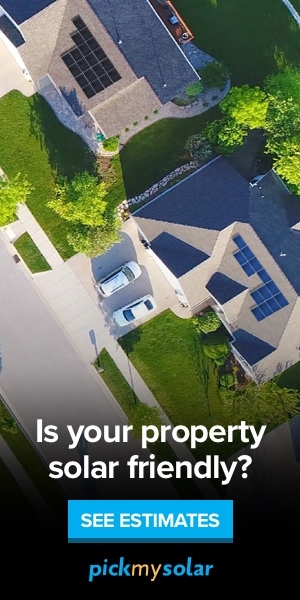 Unfortunately it also means another house will be targeted from a place in the air above your house. Also, Apache rockets are mild in comparison to the loud, devastatingly damaging and explosive F-16 rocket. Blasts have different sounds too. A tank shelling, for example, doesn’t sound like a warship shelling. Then there is this sudden huge blast, caused by an F-16 rocket. It will take your breath away, literally. F-16 blasts give mini heart attacks. But that’s only if you are lucky. If it’s closer, you are probably flying due to this sudden blast. There is also the sound of actually hearing the missile falling and then a blast. That’s the best and our favorite kind here. Hearing the missile fall means it probably won’t be targeting you. I jump even when the door slams. There is a buzzing in my ears now as a result of the proximity of the explosions. My heart stops for a few seconds each time I feel a blast. I haven’t slept for nine nights, and I’m fasting during the day. My mind and body are in overdrive; tracking the news; preparing for an evacuation to I don’t know where any second now; preparing to die, stuck at home. My fear now is turning into a zombie. At least 335 Palestinians have been killed, and a further 2,390 others injured, according to Gaza’s Ministry of Health. Several new massacres were committed by Israel, including those against the Abu Dagga and Bakr families. Seven fatalities from which five are children. Four children alone, brothers and cousins from Bakr family, aged 9 to 11, were hit by a warship shelling on Gaza beach while playing football. Heartbreaking. My humanity is hanging by a thread, especially after I hear such news. Don’t people in Gaza deserve to have human rights? How about the children?